Those who are interested in diving, fishing, snorkeling, sunbathing at the beach or relaxing at a place of nature beauty, why don’t you go to Gili Nanggu? The island of 12,5 Ha area located in south western peninsula of Lombok, caused of the serenity and beauty of this island makes Gili Nanggu a routine destination for many foreign tourists, and this island becoming more famous among the tourist as “ The Paradise Island “ . This island offers you the right spot to enjoy the beach with the crystal clear water among a tranquil South sea atmosphere. Gili Nanggu can be reached by boat from 2 different places, from Lembar (the place where the public ferry from Bali arrives) takes around 40 minutes and further west from Tawun Harbour or Kijok Harbour takes around 25 – 30 minutes. The drive from Senggigi to Lembar could be around an hour and to Kijok Harbour or Tawun Harbour could be around one and half hour. Gili Nanggu has white sand beaches surrounded by coconut palms and mangroves, makes Gili Nanggu became the paradise island for visitors and stunning place for fishing. 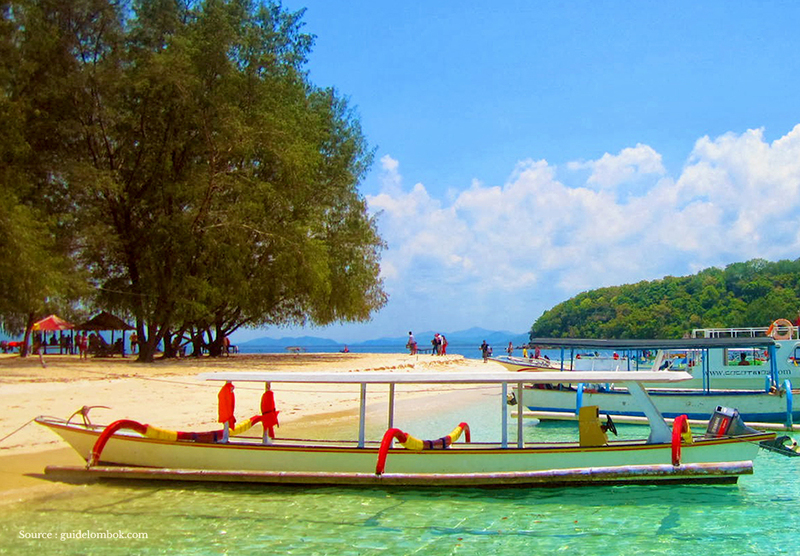 After that, you will snorkel and can see the beautiful and friendly fish there. There are some type of fishes that is often caught in nearby of Gili Nanggu such as Barracuda, Mahi-Mahi, Tuna and some tropical fishes. After your full day activities at Gili Nanggu, you can sail to Gili Sudak and continue your trip to the next island called Gili Kedis before driving back to the resort.